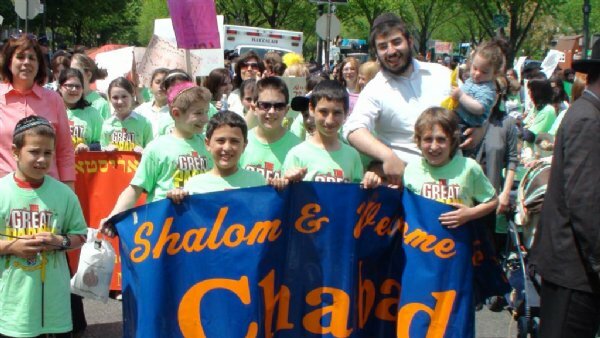 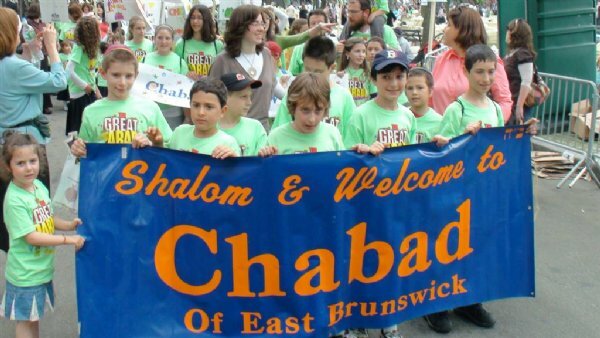 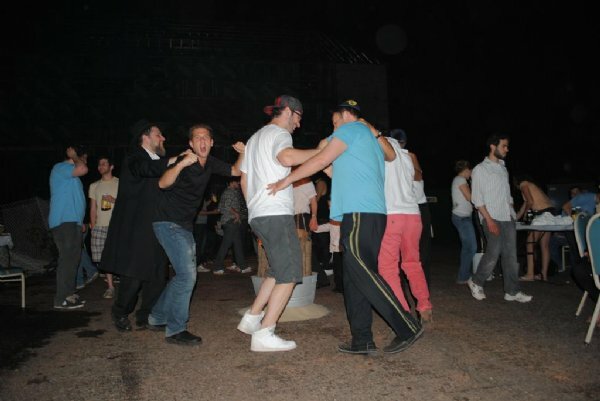 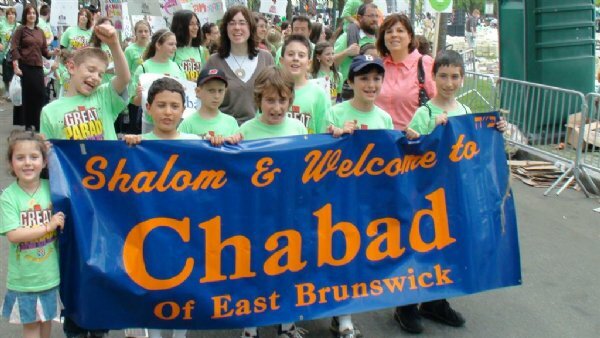 The students of the Chai Central Hebrew School in East Brunswick, New Jersey made a trip into New York for the Great Parade on Lag B'Omer. 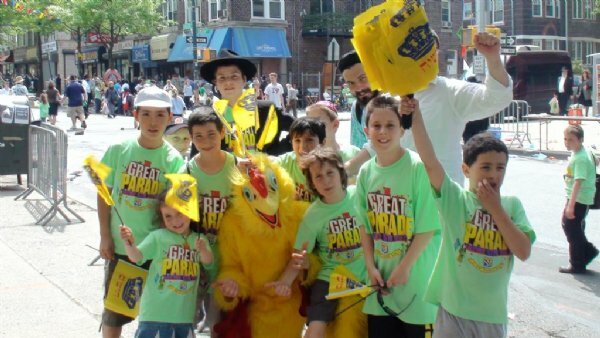 They participated in the pre-parade activities and marched in the parade. 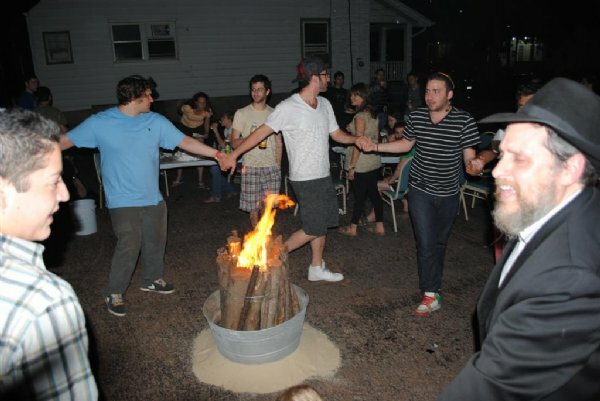 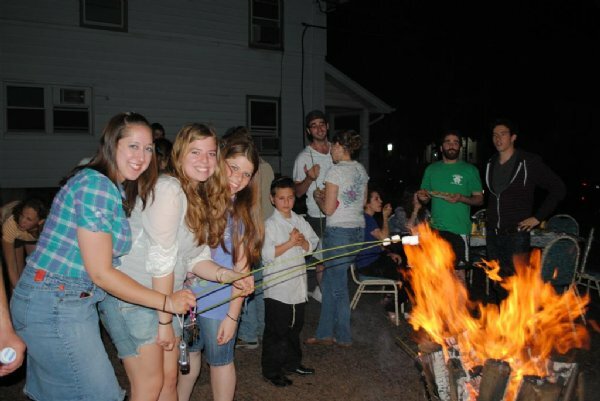 This trip was followed by a "Great Barbecue" at Rabbi Goodman's home. 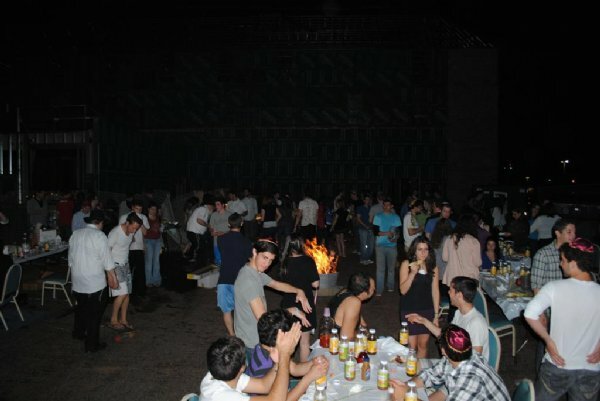 Everyone relaxed, ate and cooled off after the exciting events of the morning.